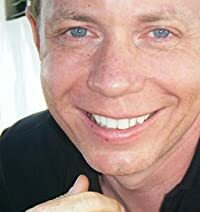 The SHAKESPEARE System – With creative marketing, self-published independent author Matthew Mather quickly reached #1 on the Amazon Science Fiction best-seller list with his first novel, The Atopia Chronicles, surpassing 40,000 copies shipped in its first ten weeks. He is now sharing his SHAKESPEARE system of 11 tips to help new authors achieve their own self-publishing success. Matthew Mather is a great example of a self-publishing success story in this new era of publishing, where electronic books outsell physical books by a margin of more than two to one. The rapidly growing popularity of ereaders, tablets, smartphones and sites that sell digital books gives independent authors a chance to hit the mainstream without a traditional publishing deal. 2.Hook - The first short story needs to be punchy and tell a complete story in itself while leaving the reader wanting to know more. You must also hook the reader on the first page somehow, create a mystery, a reason and need to keep reading. 3.Amazon - To start, focus only on Amazon. I’m not here to promote Amazon, but the first rule of entrepreneurism is to focus, focus, focus. The large majority of revenue in digital books comes from Amazon, with a small minority coming from all of the other players combined. So when you start, focus solely on Amazon; getting reviews, moving up in the ranking. By focusing exclusively on Amazon, you force people to buy from one place and thus drive up your rankings in this one spot. Once you have achieved some success there, expand to other platforms (FYI the easiest way to get on other platforms is just to use Smashwords). 4.Key networks - Make sure to use your personal social networks to maximum effect. Post on Facebook and ask people to re-post your postings for free book offers. Make sure to email everyone at work on the “internal” email (ask your boss first, of course!) Use your LinkedIn network to mention that you have a book out. What other networks are you a part of? 5.Empathize - It is critical to create a character that you introduce readers to right away that they can empathize with. People read still primarily because they want to feel an emotional involvement with a character they meet in your writing. Keep this front and center of your mind when writing. 6. Select Program on Amazon - Use the Amazon Select Program: You can offer your book for $0 (free) for 5 days each 3 month period. Used effectively, this is an extremely potent tool for reaching an audience. There are at least 40 websites I use to promote a “free weekend” for my books (email me for a list) - these sites are mostly specific to books that go free on Amazon Select and are mostly free to use for promotion. If your work is not edited well, you will get killed in the reviews and by word of mouth. Go on Craigslist and find some recently-graduated (and unemployed) English lit majors to edit your book on the cheap. A “real” editor can be extremely expensive; while the quality may not be perfect, hiring unemployed English-lit majors can save you hundreds, even thousands of dollars. There is no excuse to not get an external editor of some kind, and not getting one will kill your chances of success. 9. All free posting websites - Craigslist and other free online classified ads are secret weapons for new authors. It is incredibly difficult to get outside feedback when you are a new writer. My solution? Post an ad saying you’ll pay someone $10 or $20 to read your book and give you honest feedback. Note that this is not for line editing, but for high level feedback to make your story more engaging in an iterative process. Bonus: Get 20 people to read your book like this; these people will probably become your biggest promoters and will be happy to write reviews and Facebook and tweet about your book when released. Free PR – When you release your book, create several press releases about different aspects of the book, what it is about, why people would like it. When you release each of the story segments, put these press releases up on the free press release websites. There are about a dozen high quality free release sites out there. Highlight that the short story is free that week. It is crucial to get reviews as this has a direct impact on the Amazon ranking and recommendation system. YOU CANNOT do fake reviews. Apart from the ethical issues, Amazon has an impressive array of technical tools to make this very difficult. Instead, be honest and creative; ask friends, family, co-workers; and see my point regarding Craigslist and getting people ready to punt for your project. Find any and all ways to engage with your audience once you start to get readers. Do a video blog on YouTube about the process, do a regular blog showing progress on your next books and stories, get people to like your Facebook page. Just get engaged with them somehow! Self-published writers like Amanda Hocking, B.V. Larson and Hugh Howey have all succeeded beyond the highest projections of publishing houses, with the 50 Shades of Grey series, the Star Force series and Wool. Often overlooked, independent writing has a long and illustrious history, including legendary writers like Edgar Allen Poe, Henry David Thoreau, Mark Twain, Beatrix Potter and Rudyard Kipling. Mather believes the digital age will provide opportunities for an unprecedented number of independent authors to succeed as self published authors. Matthew Mather started his career at the McGill Center for Intelligent Machines, founded one of the world's first tactile feedback companies, and won the $2M award for “Best New Videogame in Canada” in 2007. He's worked professionally in computational nanotechnology, weather prediction systems, genomics and cybersecurity. Matthew lives in Montreal, Canada.